For more than half a century, BrownMed has manufactured quality, innovative orthopedic products. Whether it’s their top-selling SEAL-TIGHT cast and bandage protectors, the world’s most trusted brand in moisture protection for casts and bandages, the IMAK Compression Arthritis Gloves, the only gloves on the market to receive the Ease-of-Use Commendation from the Arthritis Foundation, or the Nice Stretch Plantar Fasciitis Sleeve, a patented new device that combines the three most commonly recommended methods of treating plantar fasciitis into one unique sleeve, one thing remains the same: Improving life is their passion. Arthritis Supplies is proud to offer products made by BrownMed. 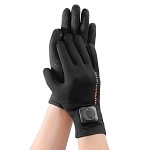 Vibration therapy and mild compression gloves provide effective pain relief. 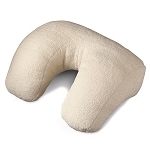 Support pillow is helpful for improving comfort when relaxing. 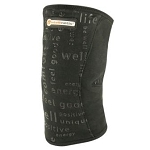 Knee wrap with fleece cover provides soothing cold therapy for arthritis knee pain. Wrap provides targeted vibration therapy for aching leg muscles and joints. Flexible wrist support with soft ErgoBead pad for cushioning. 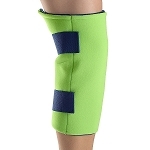 Vibrating wrap for arthritis pain in knees and elbows. Mild compression and vibration therapy provide effective pain relief.